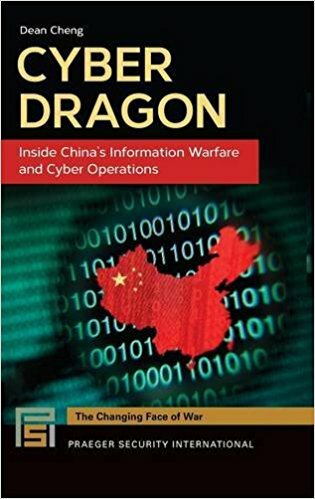 You hear a bit on the edges about China's cyber forces' ongoing efforts to penetrate the cyber domain in order to get an edge against the USA and other nations she sees as either being in the way of her national goals, or in possession of something they need to keep their economy strong. This Sunday we are going to take a deeper dive in to the role of China in the cyber domain with our guest Dean Cheng. In addition to being the author of the book, Cyber Dragon, Dean Cheng has been studying Chinese political and security developments for over 25 years. He has worked at a variety of think-tanks, including the Center for Naval Analysis, the Institute for Foreign Policy Analysis, and SAIC, as well as the Heritage Foundation. His research builds on a variety of Chinese materials, to bring to light how the Chinese talk about key issues such as space warfare and information warfare to their own military and civilian decision-makers.